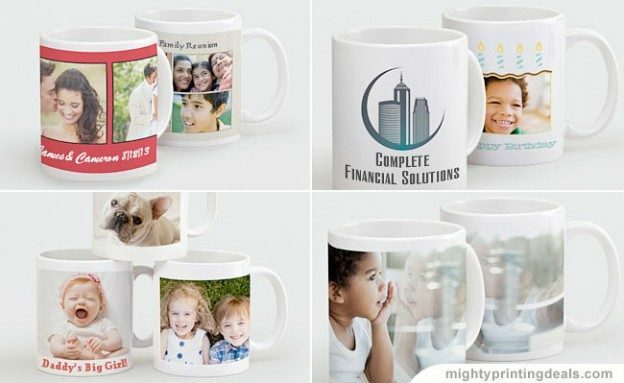 In my opinion there are a few popular printing services that do a great job printing photos on coffee mugs. Having said that, low price becomes an important factor of who you ultimately want to place your order with. At full price these are pretty cheap, but factor in shipping cost, and they don’t stand out against competitors. That’s why, in my opinion, Vistaprint only becomes the best option after you get a significant discount and/or free shipping from one of their online promotional codes. They might also be featured in Vistaprint’s weekly specials. I personally would also consider the photo mugs over at Shutterfly, (see above) as they now have colored handles and interiors, which really makes them more exciting than your standard white bisque ceramic color. You can also add chocolates to those if you are sending one or more coffee cups as a gift. 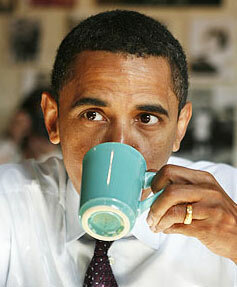 By the way, millions of people drink coffee every day, but don’t know the history. Click here to read about the history of coffee. Thank you gifts – Did you get a new bike or new gift from the grandparents? Show them that you are using it and say thanks at the same time by featuring a photo of you using it on a coffee mug. Graduation gift – If your son or daughter is off to college, they’ll probably be drinking a lot of coffee while studying. Is there a funny photo that would remind them of you? If so, it might work well on one of these mugs. Gift for employees – Do you give your employees a gift at the holidays? Go beyond just printing a logo, and get a company photo, or other picture that means something to employees. You could even use multiple photos to include different combinations of people. You can even fill it with something fun like chocolates before you give it to them! OK, how much do these custom photo mugs actually cost? Without a coupon, you’re looking at about $12 + shipping. However, there are promo codes available that change on a weekly basis, it’s not rare to see discounts of 20% or more on ceramic mugs. If you are a new customer, you’re going to want to hold out for a good coupon, as their best codes are reserved for new accounts. Currently there is an exceptional promotion going on that gives new customers a 20% discount AND free shipping! If you’re North of the border, click here for Vistaprint Canada coupons. This entry was posted in vistaprint and tagged coffee mugs, mugs, vistaprint on February 24, 2016 by kevin.